Prepare yourself to be sad, angry and thrilled all at once... Katja is a loving wife and mother. Life is looking better and better for her family as both parents recover from drug addiction and become good citizens, when both her husband and son are killed in a bomb blast. Katja is devastated, failing to hold herself together as the crime is investigated. The police think it is drug related, but could it be something a lot worse? And how will Katja cope if those to blame are not caught and punished?... There are effectively three parts to this film; the crime, the trial and the post-trial, all of which hang on Katja and, specifically, on the acting of Diane Kruger who plays her. 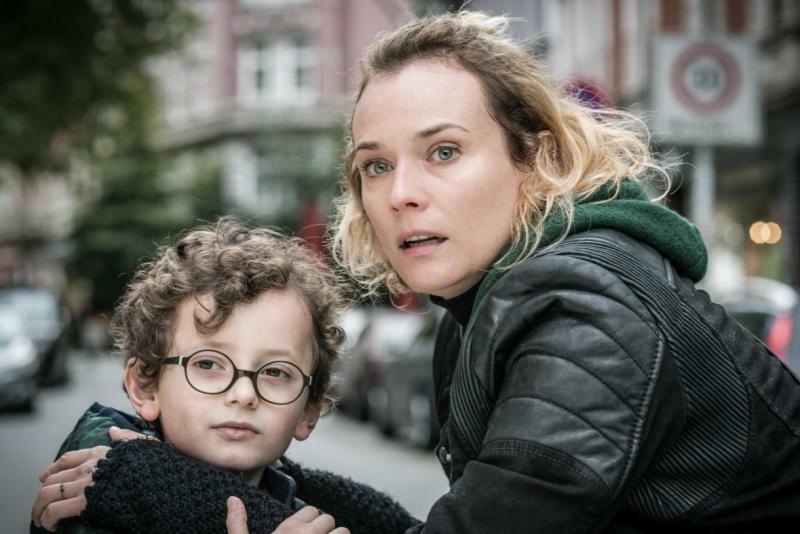 In a film that has itself won many awards for Best Foreign Film, including the Golden Globe in USA, Diane Kruger won Best Actress at Cannes Film Festival, and huge praise from every reviewer I can find.